KomissarBojanchev wrote: I'm inclined to believe that the Mig-41 will be a much needed replacement due to aformentioned long range patrol. But I also really hope that it will be agressively marketed. The achievement of creating a manned hypersonic interceptor will be a massive matter of prestige that will discredit retarded American hypersonic drone vaporware. A massive speed will also increase the flight speed and range of existing BVR missiles due to the aircraft's speed adding to the missile's, thus imrpoving the performance of Russian weaponry. Is there any chance that the Mig-41 might use more than 2 engines? What is the chance of it being a flying wing? Also, i wonder why the russians can build mach 3+ capable engines since the 60s but cant build an equivalent to the F-22's engine. Is miniaturization the problem? Is it possible that the Mig-41 will mount a cannon? Given that it will travel almost as fast as a 30mm shell there might be a danger of it hitting itself. There is veeery slim chance MiG-41 will be "hypersonic", especially due to fact people do not fully understand what does that term mean. To be an actual hypersonic object, something needs to fly on speeds between 5 and 10 mach numbers. For manned aircraft that would see an actual service at this point, that is not achievable. Interceptors with more than 2 engines are not coming back either, actually anything except bombers with more than 2 engines isnt coming back, here we are talking about an actual combat aircraft not transport or similar. Problem is for start of metalurgical nature, then comes list after that. However Pratt & Whitney F119 is also getting old there are in perspective alot better engines coming. You cant use cannon and hope for some kind of effect while flying on supersonic speeds. In my viewpoint, they could very well make a new interceptor (Mikoyan) by using what is known in stealth in terms of design of aircraft more so than materials because a jet that needs to fly as fast as MiG-31 does, requires a titanium chasis, is this correct? If so, RAM may not work so well with such a jet (they could come up with some kind of composite titanium I suppose). But what is important is just making it quite LO due to shaping and use a lot of the current and known technology that Russia produces/is producing. What has been learnt from the PAK FA development could be implemented in the jet - AFAR radar, sensor suite, helmet and comm systems, integration with ground radar systems (already exists, I know). But of course, engines will be #1 in replacing or modernizing (greatly increasing efficiency). They do not have to go crazy in design which would end up making the jet expensive and somewhat pointless. But already Mikoyan stated that they have not used full potential of upgrades to MiG-31 jet. So I imagine that they will continue to upgrade the MiG-31 in the mean time to make it cheaper and a way to introduce newer technologies to the jet that can be later integrated into a newer design. that hypothetical mig-41 will eat into pak-fa budget massively and less pak=fa units will be made. Systems are to be used... PAK FA has a specific role and is the solution to a particular requirement. They will buy as many as they need and no more. Pretending it is for other roles too so we need more makes no practical sense... especially suggesting they might be useful replacing something they are not well suited to replace. wants and gets are 2 different things. Having one type to do everything is not cheaper if the one type you choose is expensive to buy and expensive to operate and is not ideal for most of the roles it is taking on. if we look at what opponents are fielding pak-fa is good enough for the task , and in more massive numbers you can have more dispersed units closer to each other, and actually better coverage. As hypersonic weapons and hypersonic aircraft become an actual issue having a fast interceptor becomes even more critical. we will see what will the pak-fa maximum speed be with new engines ,stealth is not a priority so it wont be a speed limiting factor in interceptor version of pak-fa. While many aircraft on paper can fly faster than Mach 2 not many actually fly faster than Mach 2 for any period of time. There is a good reason why the MiG-31 is so big and heavy and made of titanium and steel. For short dashes of 20 minutes the MiG-31 can sustain a speed of Mach 2.6... for top speed... mach 2.83 it can fly for 5 minutes before heating becomes a problem... do you think this wont apply to the PAK FA... that somehow its engines will miraculously allow it to defy friction heating of the outer skin? I'm inclined to believe that the Mig-41 will be a much needed replacement due to aformentioned long range patrol. But I also really hope that it will be agressively marketed. The achievement of creating a manned hypersonic interceptor will be a massive matter of prestige that will discredit retarded American hypersonic drone vaporware. Indeed. Also plans for high altitude high speed launch of satellites becomes even more practical with rather heavier payloads becoming realistic... not to mention now that the ABM treaty no longer exists they can look at anti satellite weapons able to hit targets in much higher orbits. Anything that can launch a satellite into orbit can hit another satellite in orbit. It might have combined engines... ie two large high bypass turbojets where the bypass channels can be used as scramjets at high speed... or they might just have separate scramjet engines and turbofan engines... they likely wont want too many as they take up space. As you fly past the speed of sound the centre of gravity shifts dramatically and you need fully moving horizontal tail surfaces to compensate... so you need at least a moving tail to prevent a yaw and a crash. The requirements are different... no conventional turbojet engine operates faster than mach 2.5 and lives. Probably not, though you answered your own question regarding missiles. High flight speed and altitude extends the range of missiles and also guns but in the latter case not in any meaningful way. A gun is added weight and cost, with little practical use for an interceptor these days... on the MiG-31 it was intended for shooting down cruise missiles, but it was found the R-60MK was more efficient, and the 23mm gatling gun fitted proved to be more trouble than it was worth in terms of vibration and flammable gas buildup. With only 250 rounds on board and a firing rate of 200 shells per second (yes... 12,000 rpm) it was not going to be used much. shaping will already give it most of the value of stealth anyway as noted above. It will also be carrying the biggest and most powerful radars fitted to a fighter sized aircraft and will be scanning for threats and targets and will be combining its detection sensors (probably wing mounted antenna arrays for longer wave radar and a nose mounted AESA in x band and Ku band later perhaps even photonic radar and no doubt IRST) to scan for all sorts of things like stealthy cruise missiles, high and low flying bombers and subsonic stealthy bombers and high flying hypersonic aircraft and weapons. Even heat resistant aluminium will not be cheap being a new technology, and it will likely have all sorts of expensive systems on board including very heavy AAMs and lots and lots of fuel. It is never going to be cheap, but it will be rather better than anything else on the planet for stopping an enemy attack. This is not being driven by the manufacturer... MiG is not trying to milk the cow... the Aerospace Defence forces are asking for a replacement for the MiG-31 and they are mentioning a few characteristics. Having increased speed is not unreasonable... the limiting factor for speed on the MiG-31 was that the engines were at risk to overspeed and trash themselves. A simple upgrade where bypass air is used as a ramjet engine so the air moving through the engine blades is greatly reduced or even eliminated would make them vastly more efficient and capable at much higher speeds. A variable cycle jet engine that is a medium bypass turbofan, but operates as a ramjet or scramjet at high flight speeds offers the potential for an aircraft that can take off from a conventional runway and fly potentially up to orbital speeds with the engines in scramjet mode. Of course they are not talking about mach 25 plus flight... only mach 4.5 or so which is not even hypersonic, but the problems of burning fuel at that speed are big enough and of course dealing with the friction heating of the aircraft are issues too. Lighter, stronger, heat resistant materials developed in the last 50 years would make it easier and simpler... but likely not cheaper to make. A Mig-41 interceptor and SuT-50 will be complete different planes. Main role of a Mig-41 will be interception of bombers and cruise missile. Mig-41 similar to Mig-31 will have NO dogfighting capabilities. The Mig-41 will climb high up to the stratosphere, much like the Mig-31 and can serve as launching plattform to kill satellites or intercept ballistic warheads (of course with the correct missiles). Of course no Su T-50 will share the important characteristic with Mig-41. With Mig-41 (now with Mig-31) it's possible to destroy a huge amount of cruise missiles and the cruise missile carriers (B-52 and so on), before it reaches the land based AD systems, increasing incredible the defense capability. So it's the first wall of defense! It's possible to be 10-20 % faster as Mig-31 using the same two D-30-F6 engines, because the Mig-31 is far from being aerodynamic perfect. No one knows if just a bit better turbofans or none will be used in Mig-41!? For turbofans there is a physical limit to speed, so a jet using turbofans can't be much much faster than Mig-31 now! Heat at supersonic or hypersonic speed occurs only at the edges. There is enough room and space for composite materials and new alloys to reduce the weight of the interceptor. The Mig-41 will have NO stealth characteristics, or better wrote it don't need stealth characteristic! Does it need stealth characteristic for intercepting cruise missile??? In the mid an higher supersonic area the shape of good aerodynamic and stealth close each other out. Of course the costs will be high, but Mig-41 will not cannibalize the Su T-50 because production of the Mig-41 will start from 2025 or 2030 on. The Mig-41 will replace the Mig-31 and only 50 to 100 Mig-41 will be needed. The Mig-41 will come but it's now clear music of the future! The Mig-31 will serve Russian Air Force good for many years now. Russian Air Force has other more important construction sites to work on. Russian Air Force lacks a good, modern, light multirole fighter! The Mig-35 will fill the hole of the light multirole fighter for first, but I think earlier or later the project of Mig-LMFS should be continued. Russian Air Force needs a replacement of Tu-22M and Tu-95, but this will be current project PAK-DA. In my opinion Russian Air Force must focus now on the possibilities to deliver long and heavy CAS, in form of a new Su-25, gunship, drones whatever. magnumcromagnon wrote: As far as the Mig-41 goes, I think a reasonable amount of stealth can be done, but within reason. For example having a internal weapon bays could actually help both in reducing drag and RCS, and having retractable weapon pylons too. I also believe having engine intakes on top instead of on the bottom should allow more room for internal weapon bays. But at those speeds it doesn't matter if it's stealthy, it will glow like a hot-iron poker on IRST. I like the idea that it'll have large delta wings with many retractable pylons and internal weapon bays. This is typical thinking of the stealth absolutist orthodoxy who thinks that wars on paper always translate to wars in real life. If its an interceptor that's protecting Russian airspace, I don't think stealth is useful. It will also make for good theater for minor airspace violations. I look forward to seeing the fastest jet in the world scream onto the scene through a nato camcorder. Well if it stays true to what the 31 does then it would be used against ships and other targets so some stealth would benefit it. If it's just a pure interceptor not really. Not only would it not be useful... it would be bad. It would add cost and complexity in design, production and operational use... and add no value. The problems of very high speed for a jet powered aircraft have been solved in terms of engines... the Russians are masters of combined rocket ramjet propulsion... modifying a turbojet into a bypass ramjet turbojet engine would be fairly straightforward. The key problems would be materials in terms of friction heating and they have mentioned high temperature aluminium... what else would that be for? Right. The issue of stealth is not if Mig-41 will be stealth or not, the issue is will it be able to detect at long range stealth Aircrafts. They will probably put more money on research for new radars and datalinks with the ground air defense system than for stealth. @Pierre Sprey Nice pictures !! The internal bays are very usefull for a mach 3 fighter and the idea of the engines on the top to allow more internal space Under them is very good. mig proposed new project but authorisation for starting work on that plane was not given. The piece you quote says permission was not given for a replacement aircraft because there is scope to further improve the existing aircraft. That makes sense for the next ten years but for the 20 years after that they will need a replacement so it would be logical for them to be working on something. above all one where a limited employment of tactical nuclear warheads, purposely developed for this product, could render almost irrelevant dozen of years and several hundreds billion dollars of investement in aircraft production of almost any kind by part of most likely potential opponents and "force" a sudden de-escalation of the conflict. You're saying the MiG 31 will carry tactical nuclear missiles? It seems that the question about a possible successor of the MiG-31 has not been denied. Obviously the MiG-31 is not outdated as military concept, and may have potential of improvement still. Even the MiG-25 remains still actual as military concept. But it means not a rejection of the MiG-41, like the Su-PAK-FA means not a rejection of the Su-27 or the Tu-PAK-DA means not a rejection of the Tu-160. The MiG-31 and the MiG-25 are today out of production, then avery aircraft that goes out of the active service/reserve by accident or other reason, goes without replacement while there is not a new model available for production. And with the time obviously the number of both will decline. There is little chance we'll see a newly designed mig-31 successor enter service in the next 15 years. So all this is fun talk but it's sort of meaningless right now. Actually the potential for hypersonic threats means a successor for the MiG-31 is actually very likely in the next 15 years. There is potential to improve the MiG-31 in terms of radar and engines and replacement of materials to make it lighter and cheaper to operate... it is mostly made of steel which is rather heavy, though necessary to deal with the temperatures this aircraft has to deal with. The current work on supersonic combustion ramjets for missiles like Zircon which will reportedly enter service by 2020 suggests that experience with Scramjet technology has progressed to the point where new jet engines can be designed to allow higher speed to be achieved for the MiG... which was largely speed limited due to the engines it uses currently. New heat resistant materials and new engines able to operate at higher flight speeds opens the door to much higher performance. higher speed and performance ? Its the fastest jet in service, in the world right now. The problem is that the MiG-31 is out of production since 1994. If the development of the MiG-41 (with the logical improvements after 50 years) is delayed after 2025, I would not be surprised if the Mig-31 also returns to production. In my view the interceptor as military concept remains modern, and to see it more evidently only is necessary the application by 2025 in the future MiG-41 of the logical updates in the key features of the military concept of interceptor and in the technologies involved. As said in a previous comment, the MiG-41 has not been denied according to the article. It says that is still pending. We must not forget the news about the PAK-DP project that would be the MiG-41 and the timeline for the project. GunshipDemocracy wrote: Dear Lads, looks like famous MiG-41 is PAK DP. I did not know what thread shall I report this news - pls advise. MOSCOW, Aug 12 — RIA Novosti, Yekaterina Spirovska, Alexander Nevar. Work on defining the shape of the radio-electronic complex of a promising aviation complex distant intercept (PAK DP), which will replace the MiG-31 began in "NIIP Tikhomirov", reported to journalists the General Director of the enterprise Yury Belyi. Last year the Russian air force commander Colonel-General Viktor Bondarev said that Russia in 2017 will begin research work on the development of PAK DP. Readiness to participate in the development of the aircraft in February this year, said the RAC "MiG". "Development system "Zaslon" of the fighter-interceptor MiG-31 has been a milestone for our Institute and became his "calling card". So, of course, we couldn't stay out of participation in the creation of new radio-electronic complex for PAK DP. Started research work on determination of appearance-based systems not only modernized "Zaslon", but for all of the latest developments, including "bars", "IRBIS", radio-electronic system for the PAK FA and others," said Belyi. He noted that for the new interceptor should be developed on a modern basis and all other systems. "If NIIP will be chosen by the developer of electronic industry, we will need to ensure communication with all onboard systems. We are also ready, have the necessary experience," added the CEO of the developer. NIIP is a developer of systems management service (OMS) fighter aircraft, as well as the developer of anti-aircraft missile systems of medium-range air defense Ground forces, whose task is to protect against air attack. Currently the shareholders of "NIIP Tikhomirov" are "Concern PVO "Almaz-Antey" (56%) and "Concern radio-Electronic Technology" (44%), part of state Corporation Rostech. MOSCOW, August 12 - RIA Novosti. Development work on the development of perspective aviation complex long-range interception (PAK DP), which in the future will replace the MiG-31, will begin no earlier than 2019, told journalists on Wednesday VKS Commander Colonel-General Viktor Bondarev. "Start of development work on the creation PAK DP planned no earlier than 2019. At the moment, the Russian Defense Ministry has successfully carried out the modernization of existing facilities interception - the MiG-31," - said Bondarev. He noted that the timing of the ROC to build PAK DP does not affect the status of the park interceptors videoconferencing. Last year, Bondarev reported that Russia in 2017 will begin research work on PAK DP. And earlier on Wednesday CEO NIIP VV Tikhomirov Yury White announced that the company has already begun work on the definition of the complex shape of electronic interceptor future. It would be interesting if Russia can do it a little faster and have the first unit in 2025. Work on the creation of high-rise of a new generation of interceptors, which in the long term will replace the MiG-31, continues and not only in the RAC "MiG" said RNS General Designer - Vice-President for Innovation PJSC "United Aircraft Corporation" (UAC) Sergey Korotkov . "Designers are working on this topic", - Korotkov said, when asked about the prospects for the creation of new high-altitude interceptor. According to him, "the defense ministry said that such a plane is needed." Korotkov noted that in this study involved not only the Corporation "MiG", which once produced the first Soviet aircraft 4th generation - the MiG-31, but also other KLA designers. "Every design office does not stop in its development, especially in those areas where it has the highest competence," - said general designer. He did not talk about the future characteristics of the high-altitude fighters and their weapons, referring to the closeness of the topic. Earlier it was reported that a high-altitude fighter-interceptor MiG-41 can be created in Russia, which will replace the MiG-31. Svetlana Savitskaya told reporters that the program restoring the park tall interceptor MiG-31 in the composition of air and space forces will allow to leave them in battle formation at least 15 years. "These machines are at least 15 years will ensure our security of these machines without the North and the Far East are not protected by the safety One missile can not be solved.." - Savitskaya said. MiG-31 - Soviet and Russian double supersonic interceptor long range. 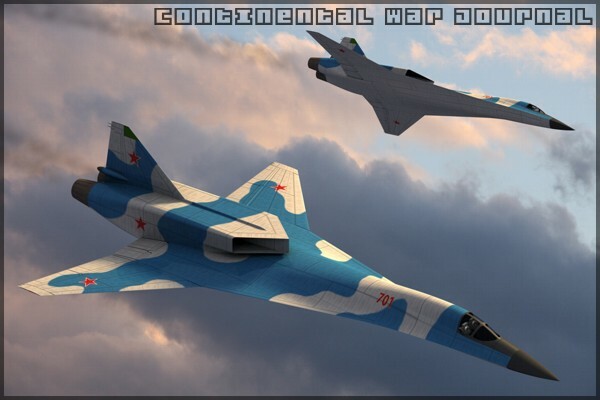 The aircraft was developed in the 1970s, it is the first Soviet fighter of the fourth generation. MiG-31 operated since 1981, only 519 units produced. So they have 15 years to replace them. The design and prototype work will have to be finished in about 10 years to allow time for manufacturing. the 2027 target is feasible as with the PAK-FA. No, I think they are saying in 15 years time the MiG-31 will no longer be good enough for the job at hand so they will leave service in 15 years. That translates to about 2032, which pretty much means a replacement needs to be in production by about 2025... by about 2028 they would start gradual withdrawal of MiG-31s with them all gone by about 2030-32. It wont take 10 years to develop a new aircraft... they will probably have the airframe ready before 2022 but the engines and sensors might be tricky and take longer. they have already perfected pulse jet engines that operate in turbojet and ramjet modes which would be ideal when scramjet technology is perfected in terms of thrust. engine. Maybe in the long run it will have pulse detonation engines but they may require a frame redesign for all we know.